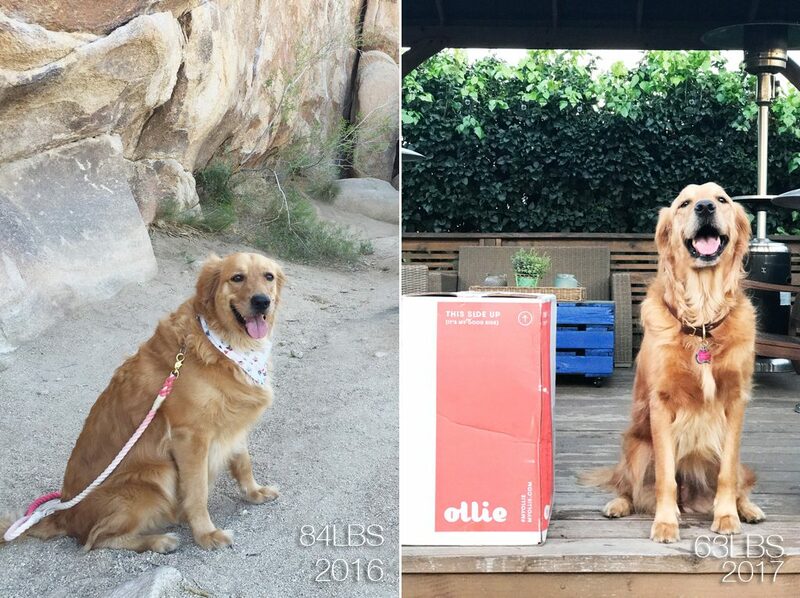 For nearly six months, Bessie has been on a 100% cooked dog food diet by Ollie. Previously, I was making her food every 4-6 weeks in large batches. So she’s been on this non-kibble diet for nearly one year now. Our main reasons for switching Bessie onto this diet was for her health. While on mostly a kibble diet, we exercised her regularly and saw she was still overweight and constantly suffered from unexplained itchy fur. 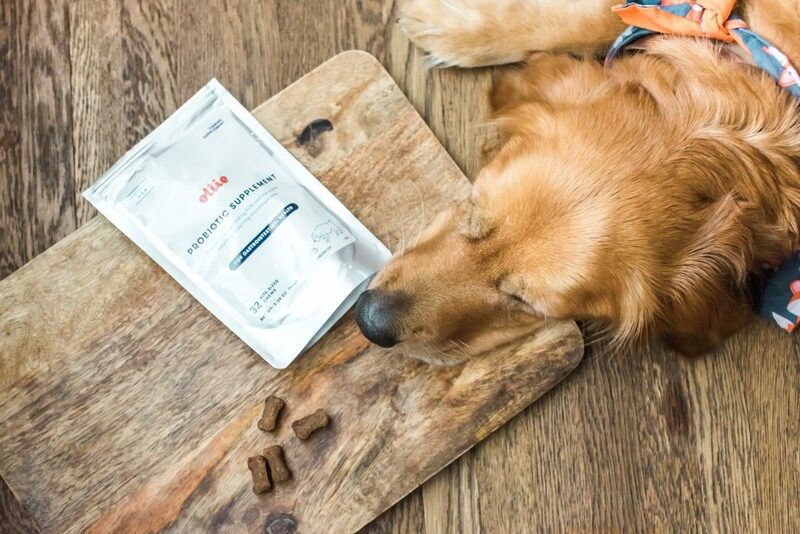 When you see how long the shelf life is for dog food you start to think, “how good is this for my dog?” If fresh food lasted that long, it can’t be that great. In addition, eating a whole foods diet is great for humans, it should be just as good for our furry companion. So after Ada’s passing in October 2016, we decided to transition Bessie to 100% home made dog food. 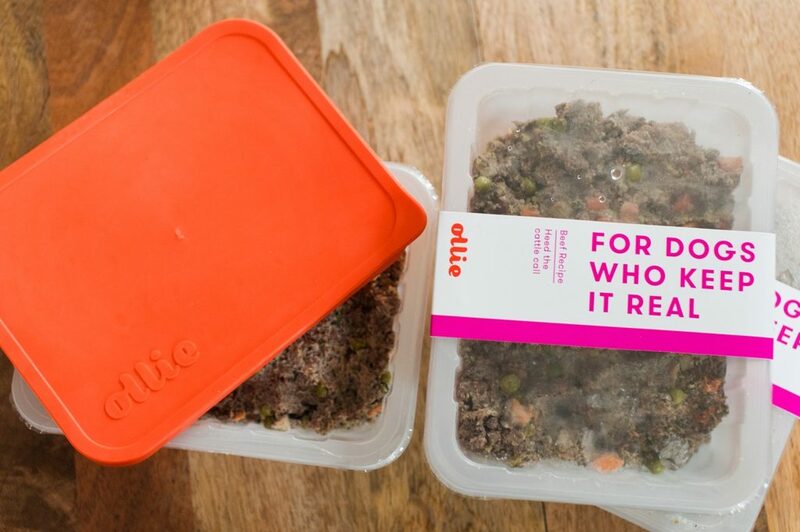 Making the food can be quite the task and we were always on the search for a delivery service that would provide exactly what we were feeding Bessie and thats when Ollie came into the picture. 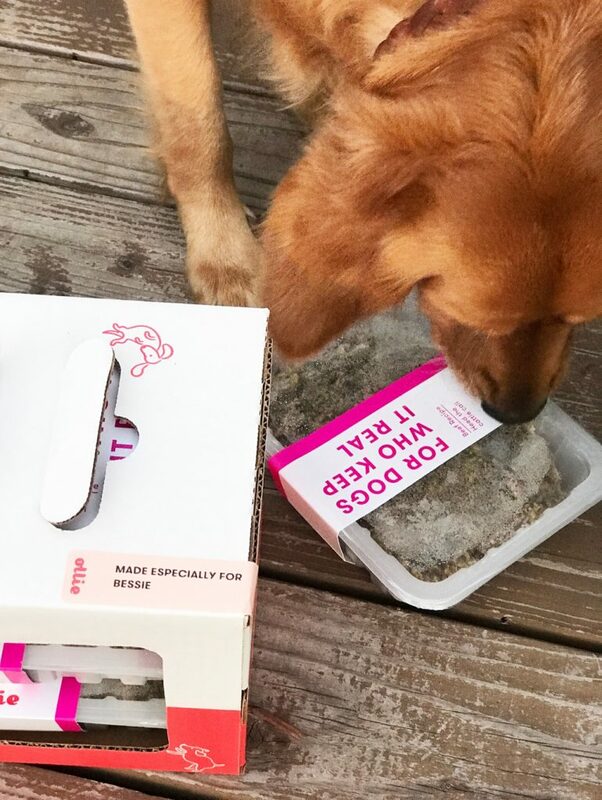 We loved the fact that everything is human grade and already included many of the ingredients that we already incorporated into Bessie’s diet. Beef, beef heart, beef kidney, sweet potato, beef liver, peas, potato, carrot, spinach, chia seed, dicalcium phosphate, sunflower oil, blueberries, calcium carbonate, fish oil (fish oil, tocopherol), iodized salt, zinc gluconate, basil, rosemary, vitamin E supplement, pyridoxine hydrochloride (Vitamin B6), riboflavin (Vitamin B2). In addition to her diet we do add supplements which include omega-3 fish oils and probiotics. Over the course of a 6 month period, Bessie has lost a total of 21 pounds and has kept the weight off! We’ve kept her activity level constant and we really attribute it to her diet. 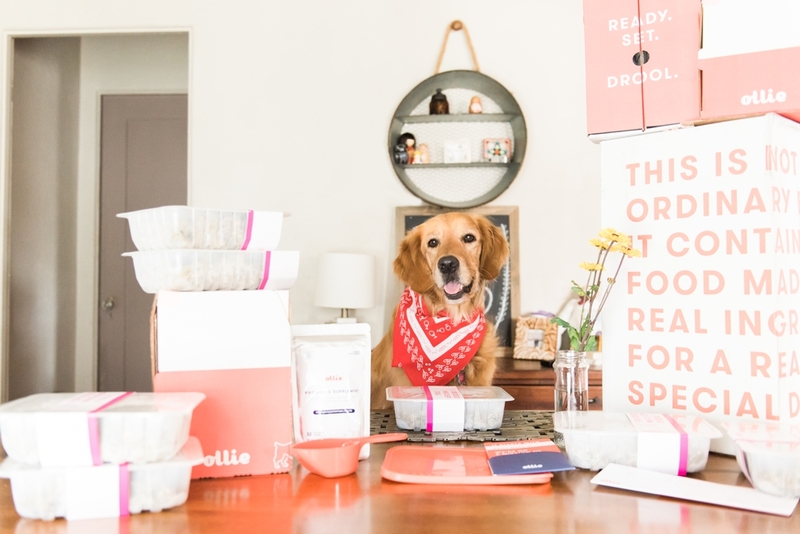 While we know there are opinions out there on feeding your dog cooked versus raw – this post isn’t about that. We are purely on this plan because it is what works best for us and our lifestyle. 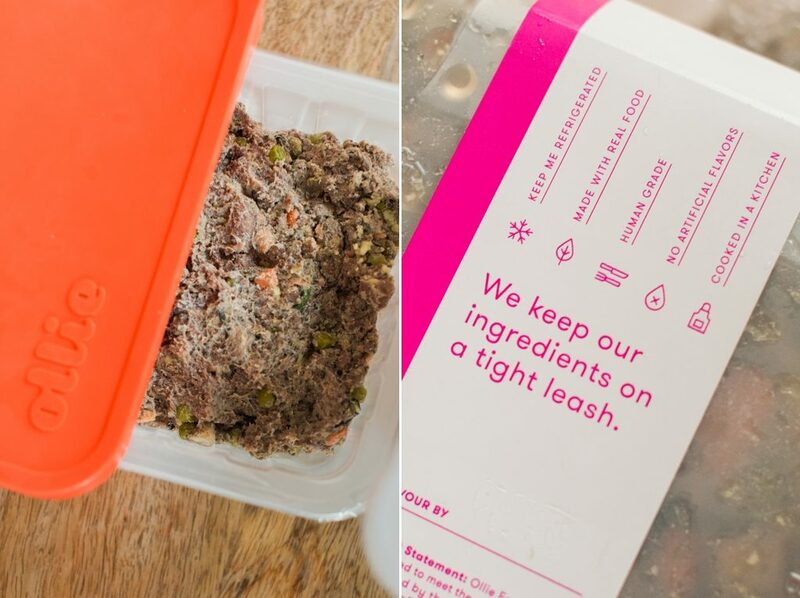 We are grateful to have found a perfect meal delivery plan for Bessie which saves us a ton of time. 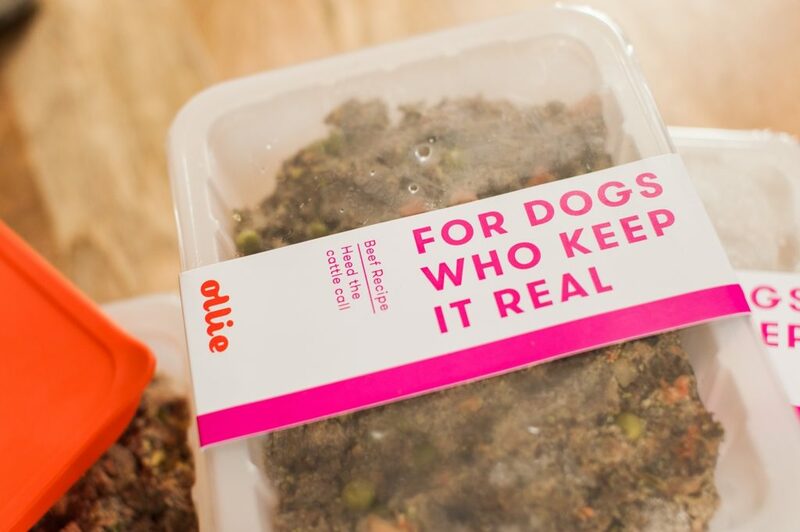 Disclaimer: Ollie Dog Food provided Bessie her Hearty Beef Eats meals. Us in Wanderlust or Retriever Sisters were not compensated for this post review. We also do not endorse products that we don’t feel confident in using ourselves. 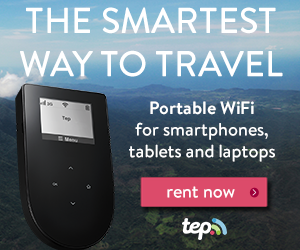 Us in Wanderlust may contain and feature products that are purchasable via affiliate or sponsored links. An affiliate link is a link in which advertisers have agreed to pay a commission should a purchase be made from that click-through. All affiliates and sponsors are vetted by us and we would never post anything we haven't purchased or experienced ourselves. All views and opinions are purely our own. Should you be interested in featuring our photography work for commercial purposes, please link back to our post and give us appropriate credit.